Canada Prime Minister Stephen Harper announced loans and grants to attract auto parts manufacturers to Canada, and incentives for Canadian companies to modernize their facilities. TORONTO (Reuters) -- Canada's Conservative Prime Minister Stephen Harper on Tuesday promised $1 billion Canadian ($763 million) in assistance over 10 years for the automotive industry if he retains power in an Oct. 19 election. He made the pledge a day after agreeing to a new Pacific trade pact that critics say will hurt the Canadian auto industry. 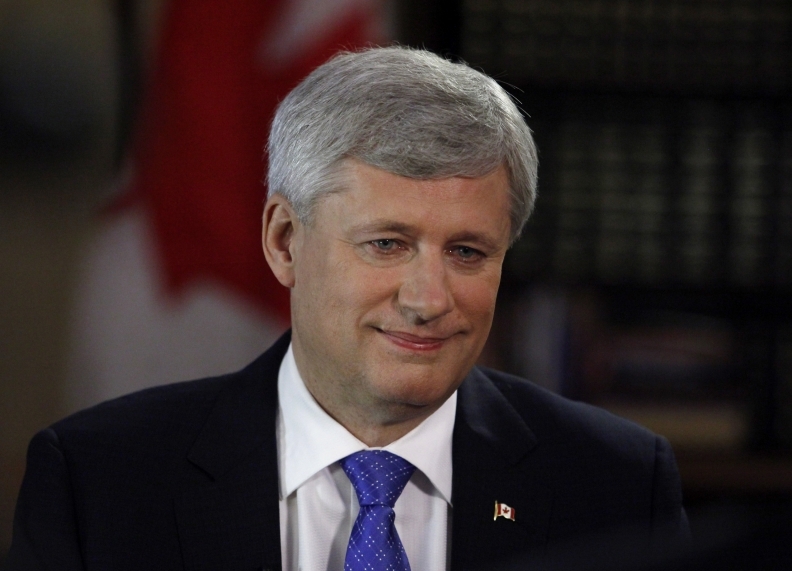 Polls show Harper may well lose his majority in the House of Commons and could even be turned out of office. Harper vowed to extend the life of an existing $100 million Canadian a year automotive innovation fund by 10 years once it expired in March 2018. The program is designed to help research projects become commercially viable by supporting product development. The Conservatives, he added, would expand the fund to support the construction costs of assembly plants, and would offer non-repayable grants for new plants and investments in existing facilities. "If automakers are prepared to make firm commitments to new and modernized plants in Canada for the long-term, our Government is prepared to partner with them," he said. Harper was speaking in Whitby, Ontario. The province is the heartland of Canada's auto industry and also accounts for 36 percent of the seats in the House of Commons. The Trans-Pacific Partnership deal agreed on Monday would give Japan's automakers a freer hand to buy parts from Asia for vehicles sold in the United States. The Unifor union, which represents auto workers in Canada, has said the change will put jobs at risk. Auto firms currently building vehicles in Canada include Ford Motor Co., General Motors, Fiat Chrysler Automobiles, Toyota Motor Corp. and Honda Motor Co.